Today is Charles Darwin‘s Birthday. Head over to www.darwinday.org to take in the celebration. Here is a bit of what they say about this non-denominal day of celebration. The Darwin Day Celebration website provides resources and publicity for individuals and institutions across the world to celebrate science and humanity every year, on, or near, February 12, Darwin’s birthday. 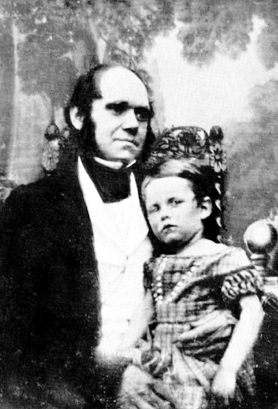 In addition to information about the life and legacy of Charles Darwin, this website provides practical examples, advice and templates for organizing and publicizing Darwin Day events. It also provides a directory of events where you can find celebrations taking place near you or register your own event for others to find. Though there has been much unsubstantiated debate on who discovered the mechanism of evolution(here is a breakdown of the whole affair), there is essentially no debating it’s influence on human history. Religious groups fight scientific knowledge tooth and nail, to further their ideology. Over the years I have come to appreciate the work of Charles Darwin, not just for him being able to piece together the unifying thread of all biological life on the planet, but also his determination to publish his work so as to share it with the world. The world has not been the same ever since. Though his book, ‘On the Origin of Species: By Means of Natural Selection‘, is not a barn burning thriller, it is a must read. Have a Very Happy Darwin Day 2008!! Previous PostPrevious Is your computer “Vista Capable”?